I spotted a couple of new shields when I was browsing some online shopping sites, so I though I would take a look at these. Initial impressions suggest these would be ideal for beginners. This shield integrate various module functions and you can directly program to complete the experiment without welding and cables. 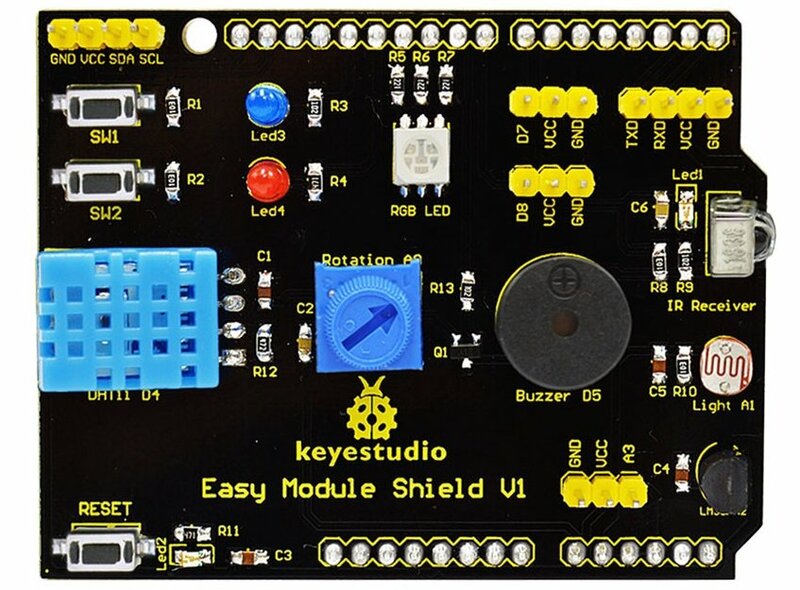 This shield can be fully compatible with the Arduino UNO R3 and it will never short circuit with the Arduino UNO USB interface, so this shield is very safe.